Your mother is 17 weeks pregnant now, almost halfway. If all goes to plan, you’ll be here in just over 5 months. I hope you appreciate just how difficult it is to write “your mother” instead of “Katie”. That’ll take some getting used to. I’ve been thinking about these letters for a while, mostly thinking about about whether or not to write them, and what possible use the end result may actually be. I want you to have something that you can look back on – something a little unusual to mix in with your memories, that tells you more than you’d otherwise have known about me, your mother, and our lives before you came into the world. That’s the idea behind writing these letters. This is what it was like before you. This is what it’s like to be expecting you, and to raise you. This is how we were, way back when: what we did with our days and nights, why we did it, and what we thought at the time. A chronicle of moments and mistakes, for you to ignore or look back on as you will. The first one of these was going to be about family; what my family has meant to me, what means to your mother and what it seems to mean to other people. Then I decided it was going to be about your mother – why I love her, and the reasons I married her. After that, I decided to make it about friendship, which is a topic I’ve spent more time and effort thinking about, writing about, and discussing more than anything else in my life. I’m blessed by my friends. I’ll tell you why in one of these letters one day, though you’ll probably see for yourself before I’m gone for good. We’ll start with something easier. In fact, we’ll start with the best thing in the entire world. And wouldn’t you just know it, it’s not even a real thing. Typical. The best things in life are dragons. The world’s got a lot of different kinds of dragons. Many cultures and countries have their own legends and stories about dragons (or similar monsters and beasts), and I’m not going to write a long and boring essay about Christian metaphor, East Asian water elementals, or the 8,000,000 types of dragons I’ve read about in various books. But dragons are awesome. Nothing else in my life has ever inspired me the same way that dragons do, and nothing captures my imagination to the same degree. When I was a kid – and we’re talking way before the mighty double figures of 10 or 11, even – my relationship with dragons was pretty antagonistic. I mostly thought they needed to die, because they were monsters. I mean, they breathed fire. They ate farmers’ cattle (though why that meant anything to a boy growing up in London, I’ll never know). They were the Bad Guys that knights had to kill in order to save princesses, or whatever. 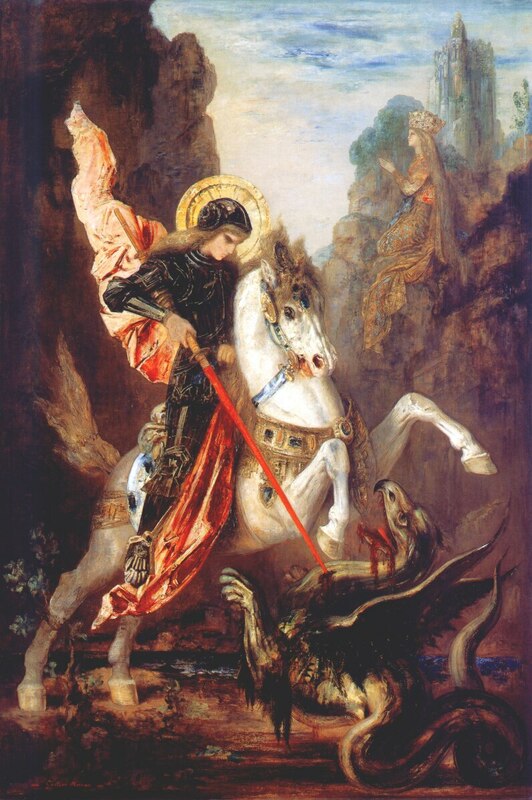 Saint George and the... weird little Chicken Thing. "Because we're DRAGONS. And dragons BREATHE FIRE." My first real encounter with dragons was also the one that made me fall in love with them. 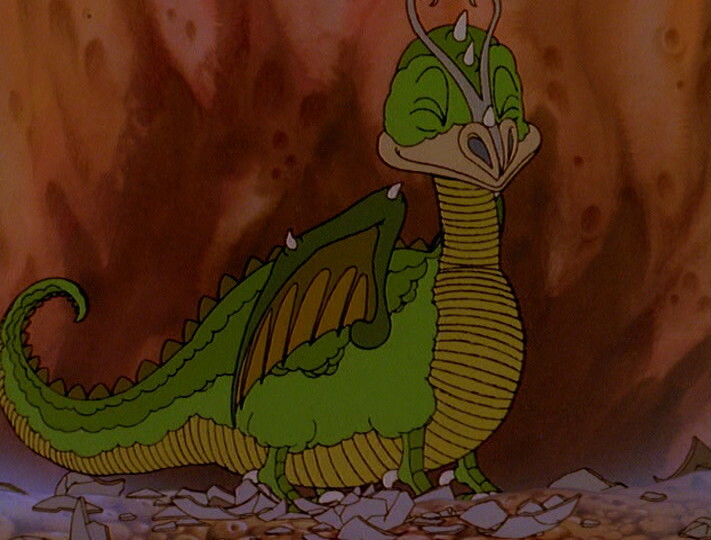 There was a film in the early 1980s called The Flight of Dragons, which was both amazing and (at certain points) sort of terrifying to my infant brain. The crux of the story was about a man called Peter being hit by a miscast spell, and how he had to learn to live as a dragon. During the story, he comes up with scientific explanations for how dragons work, which was pretty intense for my little mindscape at the time. I loved this movie. Absolutely adored it. It had knights, elves, ogres, archers, good wizards, evil wizards, a war between science and magic, and above all, it had dragons. Dragons everywhere. It had huge dragons. It had long, slender Chinese dragons. It had dragons of every different colour. They flew, they fought, they breathed fire. They slept on hordes of gold and treasure. They talked and joked, and they had friends and enemies among their own kind. That film taught me what hydrogen was, and helium, and had one of the most impressive, powerful moments of character death and self-sacrifice that I’ve ever seen. Even hearing the opening music to that film makes me embarrassingly emotional, 25 long years later. I bought the book, The Flight of Dragons by Peter Dickinson, when I got my first job at 16 (2 hours a night, every evening after college, sweeping up metal shavings in a metalworks factory). I lost it in one of my many, many house-moves – and if you add up the number of times I’ve moved house, it works out at about once every 2 years, up to the age of 29. It’s one of the reasons I’m so happy settling down here in N. Ireland now. Your mother is here, and these boots are no longer made for walking. So, I lost the book. I bought it again, about 10 years ago, when I was 21 and spending my university money like it was too hot to hold onto. I still have that copy, though not for much longer. It will be the first book you ever own, and it’ll sit on your nursery shelf waiting for the day you can read it. Even if you never bother with it – even if you have no interest in dragons at all, which is perfectly fine with me – it’s still going to be there, just in case. That’s Gorbash, as a baby dragon. You have no idea how much I wanted him to be my best friend when I was 4. I can honestly say I’d probably not have taken brilliant care of him, as he’d need to eat limestone (as well as whole cows when he grew up), and there wasn’t a lot of either of those readily available in Middlesex, London in the early-mid 80s. We had a lot of Thatcherites, which you can probably find on Google even in 2030 by cross-referencing “Fuckhead”. My mum (who is already calling herself “Nanny D”, which is also weird to me right now) was the one who showed me The Flight of Dragons. Maybe she thought I’d like it, maybe she just chucked it on in the hopes it’d keep me quiet for a couple of hours. I doubt she had any idea it would form such a huge part of what I liked in my adult life, as well as giving me a great focal point for what I consider to be resonant, emotional storytelling. After seeing it, I loved dragons. That’s the long and the short of it. 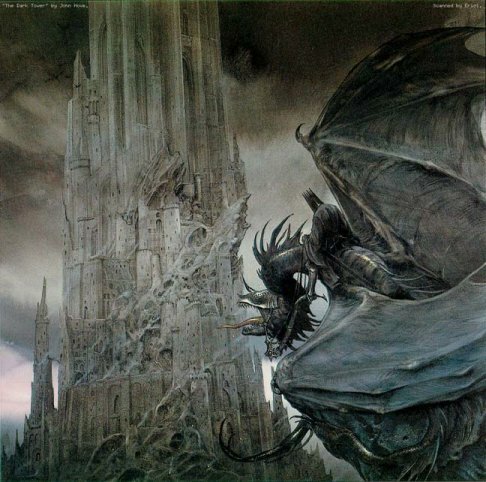 Since then, I’ve watched, read and played just about everything I’ve ever seen with a dragon on the cover. Not all of it has been good. If we’re being honest, a lot of it really hasn’t thrilled me, and I’m being tactfully generous, there. That’s the pitfall of an indiscriminate obsession. You may want to note that one down, it has the hallmarks of a decent life quote. I can already feel it echoing into eternity. My next major encounter with dragons came around the time I’d clocked up a decade of BMX bikes, bruises, and bad childhood haircuts. The ancient D&D Basic Box Set - displayed with sincerest thanks for giving me a career. I’d played RPGs before, both on my computer and the pen n’ paper variety, but my mum bought me this at a car boot sale around the turn of the 1980s becoming the 1990s. As a sidenote, you may sense a theme with my mum buying me all this stuff. I wasn’t spoiled, but my mu– uh, Nanny D was always very, very generous with buying me and your Uncle Adam the things we really wanted. She still is, actually. I’m sure her credit card companies love her for it almost as much as we do. Incidentally, a car boot sale is sort of like eBay, but in a car park, and with no search bar. D&D is often lauded and criticised in equal measure (like all fiction, video games or movies) as being simple escapism. I’ve never really understood that. I don’t see hobbies and interests as tangential to some other, more meaningful “real” life. 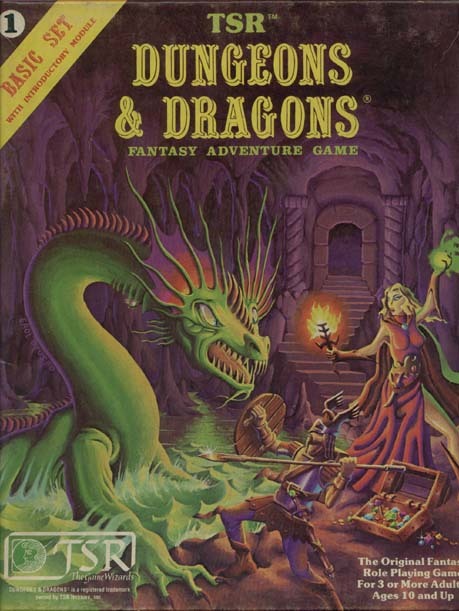 Dungeons & Dragons is no different from playing any other game with my friends, either around a table or on a pitch with a ball; and it’s no different from my parents playing Trivial Pursuit with their friends. Games are fun. I like to dedicate as much of my time as realistically possible to enjoying myself. Call me crazy. While playing as an elf, a dwarf, or whatever else at the weekends (and memorising truly horrendous-sized tables of dice-generated events), I was also starting to seriously read a lot of fantasy fiction. That hasn’t changed, though I now tend to read something outside the genre for every fantasy or sci-fi book I read these days. A bit of a balancing act. I’d gravitate in two ways, which was a bit of a fork in the road. 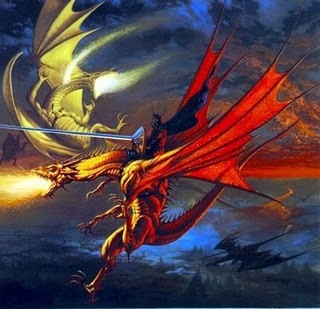 While I tend to prefer low fantasy stories (stuff closer to historial fiction, or fantasy worlds without a lot of magic and inhuman races), I also always – without fail – read any books with dragons in them, which is about as high fantasy as you can get in most cases. Not always, of course: see Robin Hobb. Yeah, yeah, a Fell Beast isn't a dragon. Shut up, it's close enough. …and with fantasy fiction of the more complex and high-quality variety, came the simpler, unashamedly derivative stuff, too. 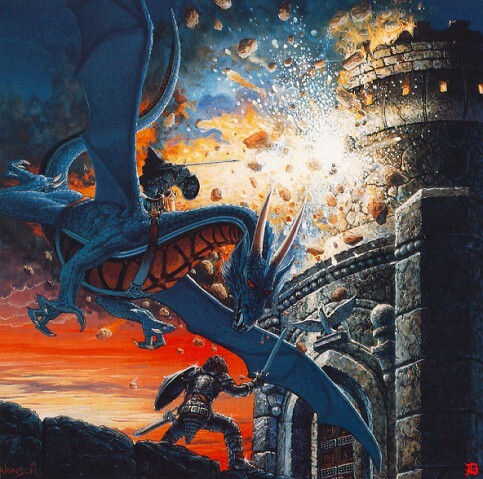 DragonLance was a major kick in the teeth for my youthful self. It presented new breeds of dragons that deviated from standard D&D tropes, with draconic gods and their children of various colours. The metallic dragons were aligned with good, and the chromatic ones with evil. That wasn’t, in itself, something heartstoppingly interesting. The fact they had armoured knights riding on their backs, carrying massive lances… Now that had me hooked. Over 15 years later, I still wince at the fire bleeding out of that gold dragon's new neck-hole. No spoilers, please. Seriously. Katie's still halfway through this series. I met your mother in a game called World of WarCraft, you know. That’s got dragons, too. Dragons, I should add, that turn into scantily-clad pixellated women – a fact that goes some way to underselling an otherwise fun game. 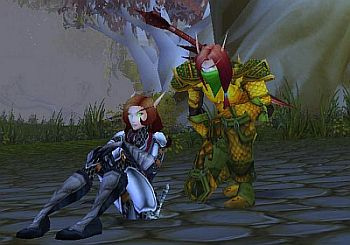 At the time, I was playing an Elf Hunter, and she was playing an Elf Paladin. That’s not a particularly interesting story (1 in 4 relationships are supposed to begin online these days) but it’s notable in that the first picture of me and your mother isn’t actually me and your mother. I should also note that this was in one of my breaks from playing undead or trolls, which I tend to prefer. I always really hated elven hairstyles. You could never be a skinhead. Instead, behold my character's strawberry-blond ponytail. I was never much of a fan of that armour, either. But nevermind. The absolute pinnacles of dragon-ness came into my life fairly recently. Firstly through the work of Robin Hobb, my favourite author. I won’t go into detail, beyond saying her low fantasy approach to dragonkind has been almost achingly well-realised. I rarely envy any other writer, but I wish I’d had the wherewithal and angles of imagination required to think up her realisation of dragons in fiction. The second was a movie based on a book, and it came very close to toppling my favourite film of all time. Fortunately for my self-esteem, the children’s film remains in second place., The top spot still goes to Ravenous, a film about murder, snow, starvation… and Native American cannibal spirits. That’s not one to watch in your first few years. We’ll be keeping it out of your reach, in my office upstairs. But How to Train Your Dragon came close. It was basically the film I’d always wanted to see as a five-year-old, and they’d made it two and half decades too late. It doesn’t matter, though. 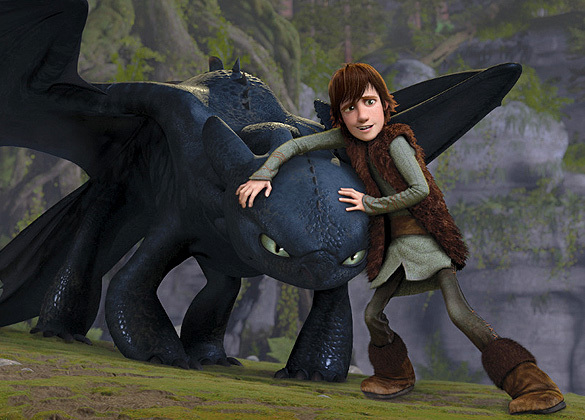 It’s a great family film, and it highlights so much of what’s awesome about dragons, as well as what’s awesome about being a kid and loving dragons. You’ll come across some books or movies in life that genuinely ring all the right bells with you. They’ll feel like they were made just for you, with all your emotions in mind. This is one of mine. There aren’t many, but they always hit you like a hammer when you find a new one. I’ll unfailingly cry at this film, every single time. It touches every chord, pulls every heartstring, hits every note in why I love dragons and what I want in a story about them. 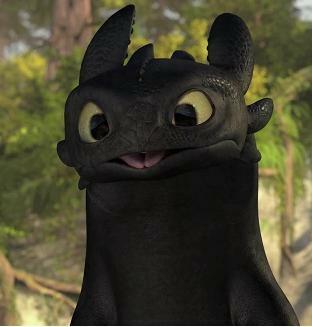 I’m not even talking about blubbing at the end (which is just… just so perfect), but also at the scenes when Hiccup is first making friends with Toothless and taking his first ride. I wish with all my heart I’d written the book, or had a hand in the film. Please buy me one. I'll feed him every day. Considering how much I love dragons, how much I read about them, and the fact it’s my job to put words on paper (or, increasingly, onto e-book screens) for other people to read, you’d think I’d have written about the scaly beasties in some form or another by now. To be honest, I never thought I would. 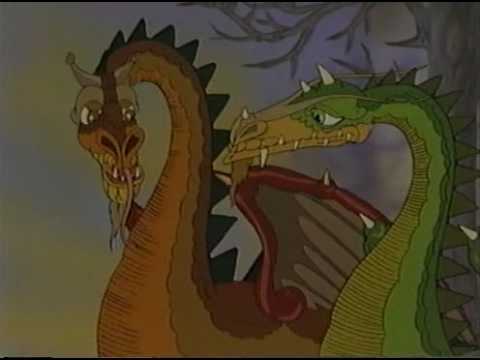 I’ve always thought the dragon tales rattling around my head were best saved for bedtime stories. They were never in the same violent, bloodthirsty league as a lot of what I read and write. They were always about something else, something… gentler, I guess. I’m not sure that’s the right word. I’m not sure I even know the right word. Everyone has a number of stories to tell, but some of them are waiting for the right audience. They might wait forever. I never expected to get married, nor did I expect to have kids. I never expected to find the right moment to tell my dragon stories. I’m not even sure I can coax them out of my mind’s recesses, they’ve been hiding back there for so long. If they emerged, blinking into the light, they may need years of editing, anyway. I’m not threatening you with the first draft of anything, here. Ultimately, it makes no difference to me if you love or hate dragons. Everyone discovers their own tastes as they grow up, and as long as I don’t have to watch football with you, I won’t have much to complain about. Do you think you can commit to that? I’d appreciate you trying. In three weeks we find out if you’re a boy or a girl. We’ve agreed on one thing, either way: you’re getting a fairly traditional first name, as the curse of spelling Dembski-Bowden to everyone all the time is enough of a chore. According to all the guides (and trust me, I’ve been reading dozens and dozens of the damn things), weeks 16-18 are when women usually first start to feel their babies move. Of course, they’re so tiny at that point (uh, the babies, not the mothers) that a lot of mums-to-be don’t realise it’s happening, or mistake it for just normal tummy feelings. I was about halfway through writing this when I had to pause it, in order to go get your mother and drive her home from work. In the car ride home, among the usual complaints of feeling heavier and increasingly swollen, she said she could feel you move. That means that halfway through my first letter to you was the first time she thought she could feel you moving. As coincidences go, that’s not a bad one.